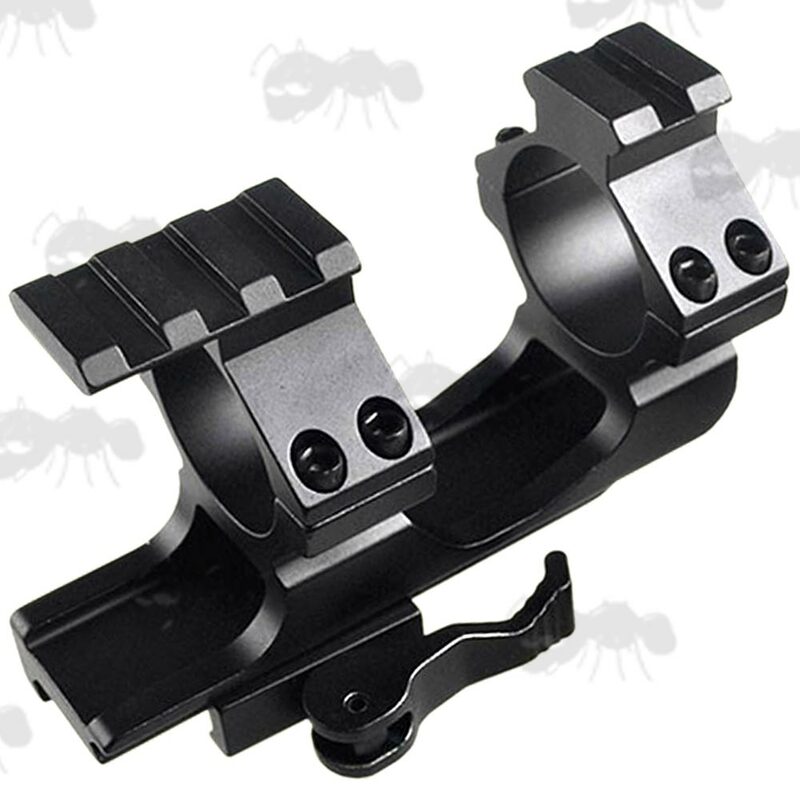 Base rail length ~ 77mm. Gap between the rings ~ 37mm. 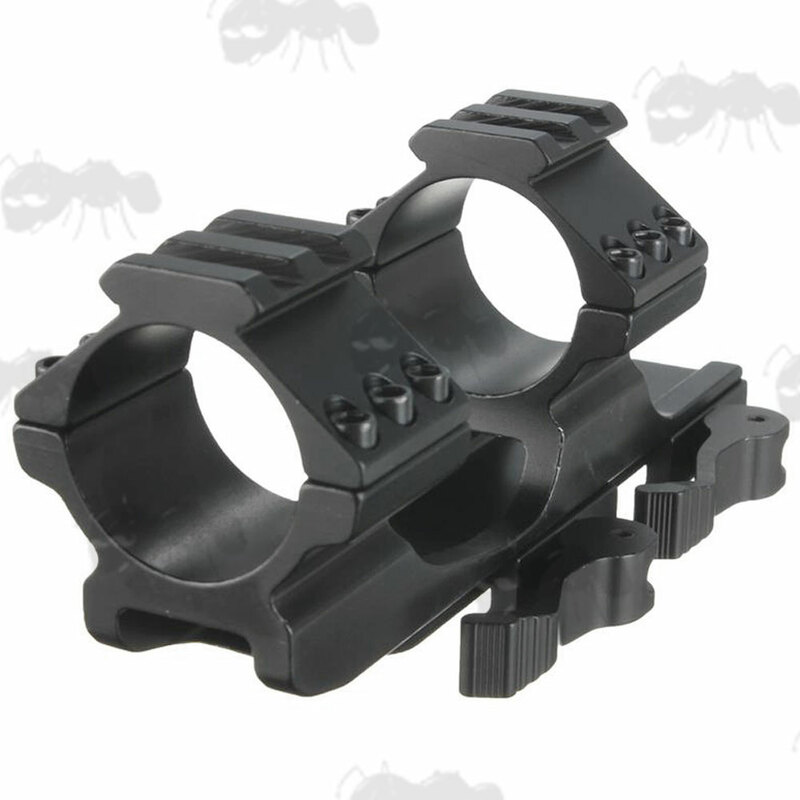 Base rail length ~ 80mm. Gap between the rings ~ 54mm. 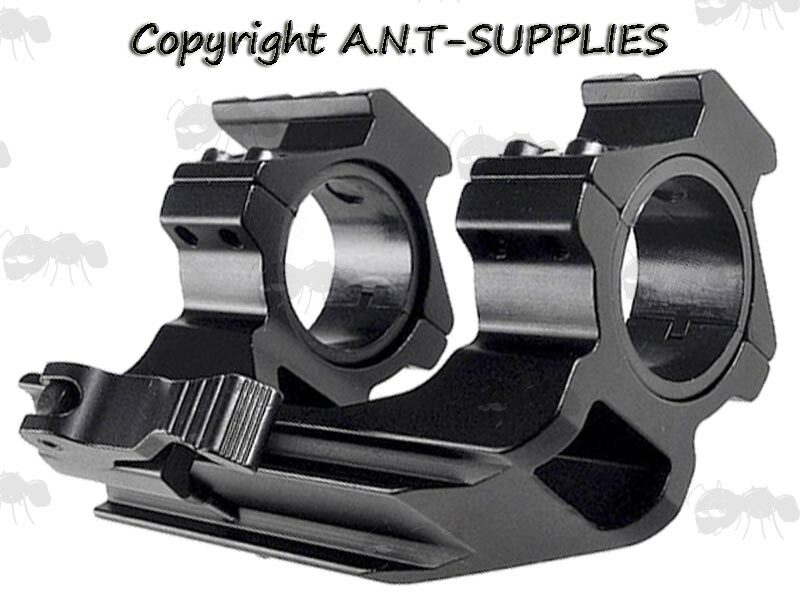 With weaver / picatinny top accessory rails, for torch or laser attachments. Quick fitting / release throw-lever fittings with adjustable tension. 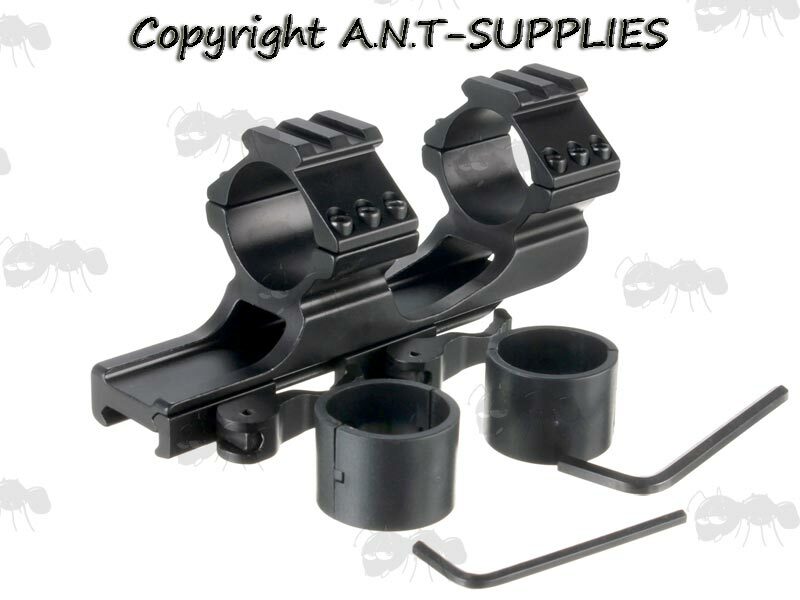 We also have two piece quick-release weaver scope mounts available.